You are here: Home › Events › Ship Ahoy! Mark your calendar for Solmukohta 2016! On Wednesday the 9th to Monday the 14th of March 2016 it’s once again time for the international roleplaying conference Solmukohta. The conference often known as Knutepunkt is this year in Finland and therefore goes by it’s Finnish name Solmukohta for 2016. This Solmukohta will be truly Baltic as the location is a Tallink Silja cruise ship. It takes off from Helsinki in Finland on Wednesday afternoon the 9th of March and the hosts the last night of A Week in Finland. 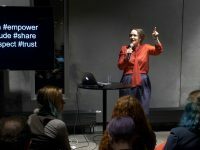 The “A Week” tradition has for many years been a nice way to extend your conference experience and often gives a nice peek into the local role-playing scene of the hosting country. The actual conference starts on Thursday afternoon as the cruise ship sails from Stockholm and ends on Sunday afternoon in Helsinki. The name Solmukohta is Finnish and means “a meeting point”. In Norway the event is called Knutepunkt, in Sweden Knutpunkt and in Denmark Knudepunkt. This meeting point – melting pot for ideas and inspiration – was first organized in 1997. 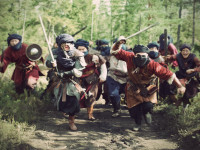 It has been playing a vital role in establishing the Nordic roleplaying identity and in establishing the concept of “Nordic larp” as an unique approach to live action roleplaying. You can also read more about the previous Knutepunkt-conferences at the Nordic Larp Wiki. We had a chance to speak a bit with Massi Hannula Thorhauge who is of the two main organizers of Solmukohta 2016. Hey Massi! Could you present team behind next years Solmukohta? As it’s the Finnish Solmukohta, we go with a small team again. We aim to transparency and internationality, which I personally think is shown in the choices of the organizers. As a main organizer couple me and Mikko Pervilä have a vast experience in Nordic and international convention organizing. Mikko was the main organizer of Solmukohta 2004, and takes the main responsibility of all the technical matters of the convention with the title Technical director. I, go by the title Artistic Director and take the main responsibility of the communication and content of the event. We let our team to drive with their great ideas and organizational skills and help to keep the package intact. Program team in 2016 are two experienced larp designers and organizers Hannu Niemi and Olli Lönnberg. They have already put the wheels turning, and set the call for program due October 2015. You might have seen them in KPs before, Hannu playing his guitar in the parties and Olli taking notes in every possible program item he just could partake. Solmu-Economy is in hands of the most experienced convention economist in Denmark, possible the Nordics, but as I am bit bias to brag about my husband’s skills, I would just say, that you cannot get better person for this job. David Thorhauge has experience since the mid 90’s on organizing roleplaying conventions from Fastaval to Knudepunkts in Denmark. Information at the venue, or Finnformation, KP/SK goers already met in Denmark 2015. Maiju Ruusunen has long time experience in working Ropecon TSInfo and Solmukohta infos. If you’ve met her, you know, she won’t rest before she has solved your problem. Maiju is joined by Zacharias Holmberg, the head of the board of Fenno-Swedish roleplaying association Eloria and larp designer from the Swedish speaking part of Finland. Zacharia’s calm voice and attitude makes problems vanish, and his vast language skills within the Nordics makes him the perfect partner for Maiju in the Finnformation. We hope to fill out the Info desks with finlandsvenska larpers to make them more visible in the Nordic scene. What would be Solmukohta without A Week in Finland? This time it has been given into hands of our Portuguese addition, José Jacomé, or as we call him “the guy who gets sh*it done”. Last summer he took groups of Nordic larpers around Portugal and you might know him from his Zombie Walk events in Helsinki. He knows what you want to do in Helsinki, even the things that we Finns would not think about. With his large network José is going to create a fantastic week of venues, events and parties, I have no doubt. And we of course have Solum-books! This year two, which seems to become the standard. The editors team is three great Finnish academics and role-players Mika Loponen, Jukka Särkijärvi and Kaisa Kangas. Mika is Solmukohta veteran, and organized events such as Ropecon and Finncon as the main organizer or as a part of the main organizer team. He knows what’s going on in the scene. Jukka, or you might now him as NiTe, is known from his internationally famous roleplaying blog “Worlds in a Handful of Dice”, where he keeps us all updated on what’s happening in the roleplaying scene world wide. 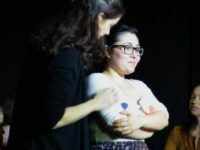 Kaisa was designing the political larp Halat hisar in 2013 in Finland, and her takes on Nordic laps she visit all around the Nordic countries are widely read. The Call for Articles will come out in September 2015, and you can read more about the book themes on our website. See the faces of the team and contact details herehe full team on the website. Do have any general themes or aims with conference? The theme for the 2016 Solmukohta is “Reality check”. This is the 20th Solmukohta/KP and we want to stop, take a deep breath and see what we have created. Where has this small gathering of same minded people taken us in less than 20 years? And we want to look into the future, and think where is this, culture and community we have created, taking us. We have grown up. We don’t run around schools in elf ears and cloaks made of shiny spandex (though, that’s fun occasionally too). We want quality and drive ourselves towards even grander achievements. This is why we, the team, want to organize Solmukohta as professionally as we can. 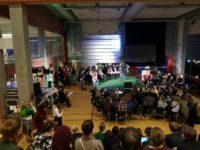 We want the Nordic Larp scene to concentrate exchanging ideas, creating together and networking without practical worries. There will be some nostalgia, some traditional SK/KP program, socializing, parties, meet-up and so on. The program will explore all the mentioned above and beyond. And finally the give question… Why on a boat? Why not? I mean, we have been as scene talking about Solmukohta on a boat for more than a decade now. If I am not wrong, someone even looked into it at some point. And to be honest, as a conference venue, it is great, and for networking and socializing the spaces and venues are excellent. It will be bit different, but in my honest opinion more “traditional” Solmukohta than we saw in Denmark 2015. Also, I get to wear a cool captain’s hat, which is a reason by itself. Thank you Massi, we are looking forward to March! Don’t miss out on scenic views like this one! 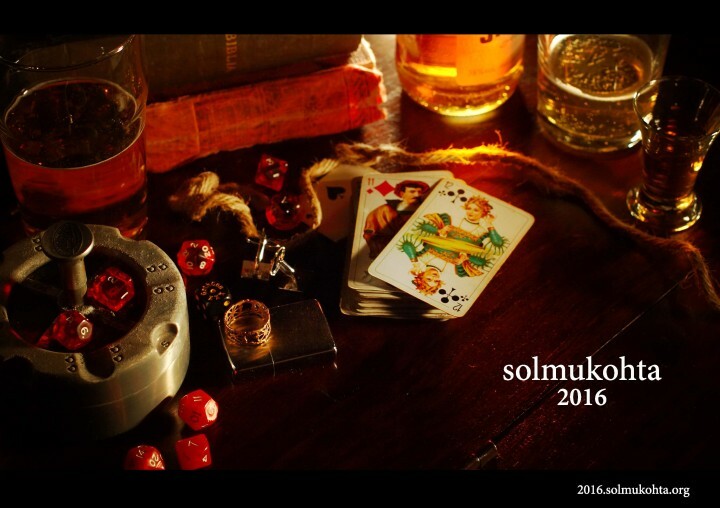 Want more info about Solmukohta 2016?